The FDA approved Actos (pioglitazone) for the treatment of type 2 diabetes in 1999, but since then, many post-marketing reports and scientific studies have linked the use of Actos for a year or more with an increased risk of bladder cancer. Currently, thousands of Actos lawsuits are pending in state and federal courts across the nation, and legal analysts speculate drug maker Takeda could face as many as 10,000 complaints involving severe Actos side effects in the coming months. An Actos lawsuit most likely to result in a positive jury verdict or case settlement is one where the claimant has medical records showing that he/she suffers from bladder cancer, or one of the other established side effects of Actos. Plaintiffs will also need records of their Actos prescription, and evidence of how long the medication was taken. Since studies indicate that pioglitazone use for twelve months or longer is linked to an increased incidence of bladder cancer, individuals who took Actos for a year or more are are more likely to prove their case. In 2011, the FDA required that manufacturer Takeda add new warnings to the Actos label about the risk of bladder cancer. Patients who took Actos after those new warnings were added will have a more difficult time proving that they were unaware of the risks. Those who began their prescription prior to the label change are more likely to be able to demonstrate that Takeda failed to provide adequate warnings about the potential health complications. When a plaintiff files an Actos lawsuit, they typically claim that Takeda knew or should have known about the risks associated with taking the drug, and that the company failed to provide sufficient warnings about those risks on the product packaging or in the “warnings and precautions” section of the patient inserts. Plaintiffs also claim that Takeda did not do enough to warn physicians of these potential dangers, so that patients who are more at risk for bladder cancer—such as the elderly, and those with kidney problems—would have had the option of taking a different medication to treat their type 2 diabetes. Additional causes of action may include breach of implied and express warranties, fraud, negligence, strict liability, and loss of consortium. In February 2013, the first of over 3,000 Actos lawsuits pending in courts around the country went to trial in Los Angeles, California. The plaintiff, Jack Cooper, claimed that Takeda was liable for his bladder cancer. After taking Actos for two years, he was diagnosed with the cancer, and since then has experienced severe pain and suffering. According to documents released during the trial, Takeda secretly surveyed doctors in 2003 to discover if a bladder cancer warning would deter them from prescribing the drug to their patients. The survey results showed that such a warning would negatively impact the sales of the drug. In April of 2013, a California jury awarded Cooper $6.5 million in monetary damages – a verdict that Takeda had vacated by Judge Kenneth Freeman one month later, claiming the plaintiff didn’t provide adequate evidence that linked his bladder cancer to Actos. Attorneys for Cooper have said they intend to appeal the post-verdict decision. In March 2014, a federal jury in Louisiana hit Takeda an eye-opening $9 billion punitive penalty for intentionally withholding the dangers of Actos from consumers. Plaintiff Terrence Allen claimed that Takeda executives willfully destroyed documents showing that the company was aware of the link between Actos and bladder cancer well before the 2011 label warning was issued. The jury additionally awarded Allen $1.5 million in compensatory damages. Takeda plans to “vigorously challenge” the verdict by filing appeals. Individuals who file an Actos lawsuit are seeking damages to help pay for medical care, pharmaceutical prescriptions, physical therapy, at-home medical assistance, lost wages, and pain and suffering. Spouses often claim loss of consortium, and some plaintiffs will also request punitive damages. Because of the serious nature of Actos side effects like bladder cancer and heart failure, plaintiffs are seeking compensation to help cover future medical care and diminished earning capacity. On September 17, 2010, the FDA issued a safety announcement stating it was undertaking a review of the data from an ongoing, ten-year epidemiological study conducted by Kaiser Permanente to evaluate the association between Actos and bladder cancer. That announcement began to increase awareness of a potential link between the medication and the disease. The next year, on June 15, 2011, the FDA issued a follow-up safety announcement stating, “the use of the diabetes medication Actos (pioglitazone) for more than one year may be associated with an increased risk of bladder cancer.” The agency ordered that information about the risk be added to the warnings and precautions section of the label for all pioglitazone-containing medications. After that FDA warning, many patients who had been in the dark about the potential cause of their bladder cancer realized that they could be suffering the disease because they had taken Actos for a year or more. It was during 2011 that the number of Actos lawsuits grew substantially, and that number has continued to increase to this day. As the litigation continued to expand, the U.S. Judicial Panel on Multidistrict Litigation (JPML) agreed to consolidate all federal claims into one court for more efficient pre-trial proceedings. On December 29, 2011, the JPML centralized these lawsuits into the Western District of Louisiana, forming the Actos MDL. The California Supreme Court also merged all California state cases into one court in Los Angeles. Increased convenience for both parties, since all proceedings take place at the same location. Reduced risk for inconsistent rulings, since one judge manages all facets of the process. Lower risk for duplicative discovery. In some cases, a greater chance for settlement negotiations. 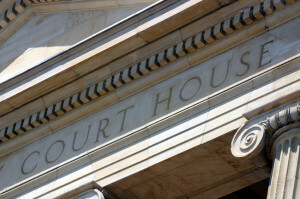 If the parties are not able to come to settlement agreements during the pre-trial proceedings, each case will return to the location where it was filed for trial. The bellwether trials – or first test cases – in the Actos MDL are scheduled to begin on January 27, 2014, and the second case will be heard on April 14, 2014. Plaintiffs also have the option of forming a class action lawsuit, which is a single complaint involving many people with similar allegations. All of those involved are known as members of the class, with one or two serving as representatives in court. Any settlement or jury verdict obtained is evenly distributed among the members, whereas in an Actos MDL or state mass tort, lawsuits proceed on an individual basis. If you or a loved one suffers from bladder cancer or heart failure related to use of pioglitazone, you may want to talk to an Actos lawyer. He or she can give you more information on the litigation, and help you understand your legal rights. If you do decide to file, a lawyer can help you gather the appropriate information and handle the paperwork involved with the case. Don’t delay, as each state has a statute of limitation that restricts the time frame in which you may file a claim.